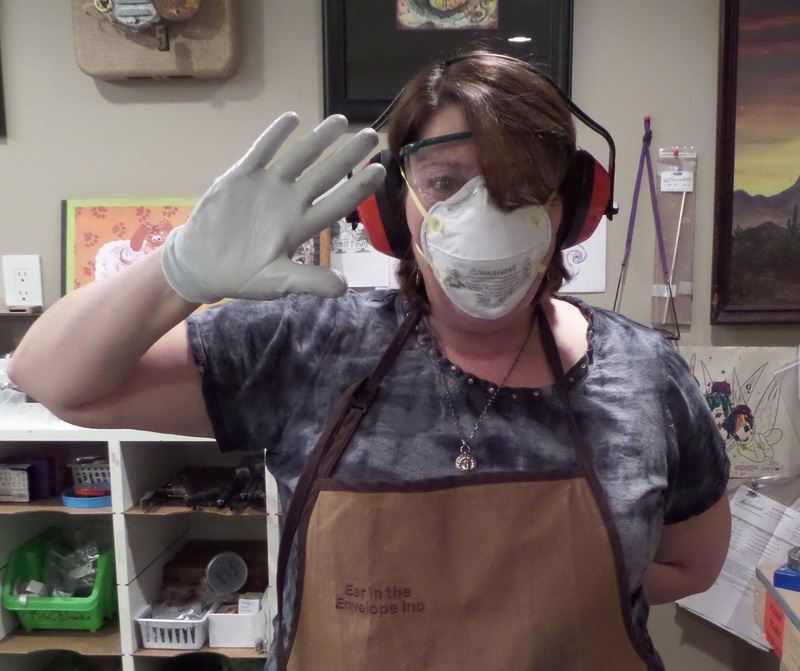 Safety Equipment and Metal Stamping Jewelry, what? why? but your body will be with you for your entire journey in this life. Taking care of it has to be a PRIORITY! 1 - Safety Glasses - Always protect your eyes. Jewelry making is close detail work, wearing a shatterproof pair of magnifying glasses is a simple and safe addition. 2 - Work Gloves - A thin pair of grippy gloves will save your hands. 3 - Ear Protection - You may not have thought of this one. But constant hammering will eventually harm your hearing. Protect it! 4 - Dust Mask - If you sand, it is best to sand under a trickle of running water. But.... if you can't, you will want to protect your lungs from floating metal dust. 5 - Rubber Block - Many people don't realize that a RUBBER block under your METAL block deadens the sound of hammering, and relieves the stress on your joints when you hammer. Be good to yourself add a Rubber Block to your metal stamping routine. 6 - Lighter Hammers or Brass Hammers - Constant hammering will eventually take a toll on your wrist, elbow and shoulder. An 8 oz hammer has plenty of force for stamping. Bigger is not better in this situation. Brass hammers are softer metal than steel and will reduce the stress on your body. Brass hammers will also reduce the stress on your stamps. Remember, you've only got one body. So take care of it!